An established company: Most small businesses fail within the first few years of opening, so it is a good idea to look for a janitorial company that has made it past these critical first years and remained in business. If you go with a well-established company, chances are good that they will work with you to resolve problems because they have a local reputation to maintain. 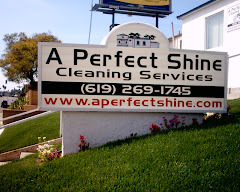 A Perfect Shine has been in business in San Diego for over ten years, and we pride ourselves on our reputation in the community. Sufficient manpower: Oftentimes families are looking for a single housekeeper to come and clean their home. While it can be nice to have a relationship with your housekeeper, this set up can sometimes cause unexpected problems. One housekeeper working alone will take much longer to clean an average-sized home and can ruin the flow of your day as you try to stay out of her way as she cleans. When you only have a single person coming to clean, you are at the mercy of that cleaner’s personal life. If they are sick, running late from another job, or otherwise unable to get to your house at the appointed time, your house may not get cleaned. When you use a professional janitorial service, like A Perfect Shine, you never have to worry about your maid’s personal life. With a large staff, we will make sure someone is at your home at the appointed time, no matter what. Realistic pricing: The biggest factor for many families when choosing a cleaner is price. The problem with choosing a cleaning service on price alone is that just because a price seems low, it does not mean it is a good value. You need to consider what you are getting for the money. Is your house being cleaned by a single maid or a cleaning crew? Are you providing the cleaning supplies, or is the service? Most importantly of all, how long will it take? 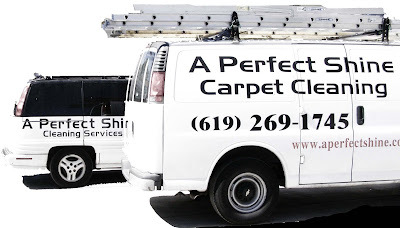 Is it going to take a single cleaning lady many hours to clean your home, or will you have a crew that can do a big job in a short amount of time. Your time is valuable, and A Perfect Shine knows it, that is why we always send the right number of people to do the job as efficiently as possible.